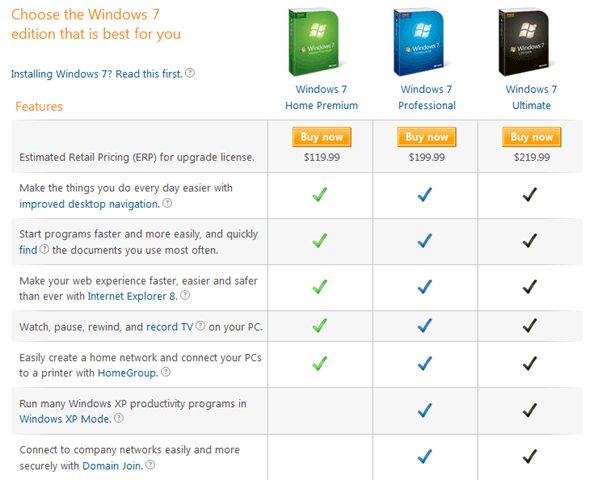 Trying to decide which version of Windows 7 you should get: Home Premium, Professional, or Ultimate? It basically depends on your needs and what you are going to be using Windows for. The rank of functionality from highest to lowest of the three Windows versions is: Ultimate – Professional – Home Premium. Here are some things that you may want to consider when deciding on which version of Windows 7 to purchase. Let’s start with Windows Home Premium. Home Premium retails for around $199 full version and $119 upgrade version. Microsoft recommends Home Premium for the most basic computer users, who use their computers to do common things such as email, surf the web, edit documents, etc. The next step up from Home Premium is Windows 7 Professional, which adds three major features: XP Mode, Domain Join, and the ability to back up to a home or business network. – The heavy majority of PC users will never use Windows XP Mode, this includes coders, designers, and developers. XP Mode is basically a way to allow people to run older software, that is not compatible with Windows 7. If you don’t really use older software, XP Mode is not a needed feature. If you want to run Windows XP inside of Windows 7, this can be done for free by using VMware Player and an old Windows XP install disc, if you have one laying around. – Domain Join is not by any means a revolutionary feature. It allows you to join the computer to a Windows Server Active Directory domain. If you must join a domain, you’ll need at least Professional. – Ability to backup to a home or business network. This is another feature that can be replaced using several of the great freeware apps out there. If you are planning on using this a feature like this at the office, take into consideration that most businesses do not use Windows backup. The majority of the time, they use specialized solutions. Worth the upgrade. You decide. 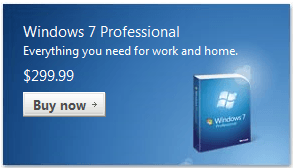 Windows 7 Professional, the middle class of the Windows versions, will run you approximately $299 for a full version, and $199 for an upgrade. As previously mentioned, Professional adds XP Mode, Domain Join, and network backup upgrades from Home Basic. Now, what features does Professional lack from Ultimate. Two main things: Bitlocker, and multilingual support. – Bitlocker is an addition that allows you to encrypt your hard drive for better security. As you may have guessed, there are plenty of freeware apps out there that could easily replace the functionality of Bitlocker. However, they may not be as convenient to use. – Multilingual Support. Multilingual support is one difference, among many, that actually may be hard to replace effectively with a freeware app. There are freeware apps out there that specialize in translation; and you can download free Microsoft language packs. However, this will not give the ease of the built-in language switching capabilities of Windows Ultimate. Worth the upgrade? You decide. Windows 7 Ultimate costs approximately $319 for a full version and $219 for an upgrade, a $20 jump in both cases from Professional. 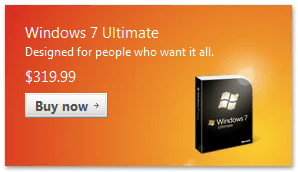 Because Windows 7 Ultimate is the highest version, there’s no upgrade to compare it to. Worth the upgrade? If you are debating between Professional and Ultimate, you might as well swing the extra 20 bucks and go for Ultimate. If you are debating between Home Basic and Ultimate, you decide. It’s quite clear that many of the “high end” features that the more expensive versions of Windows offer, can easily be replaced by just as good freeware apps. For most people, it’s a matter of preference. Freeware apps are what they are and they are not built-in to Windows. If you believe that you will use several of the features that Windows 7 Pro or Ultimate offer, and want to use Microsoft programs, go for the upgrade. 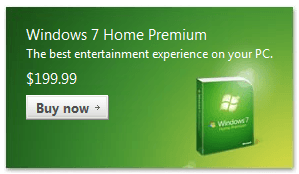 If you don’t care if you use freeware, you can make Windows 7 Home Premium do just about everything Windows 7 Ultimate can do, and save yourself $120. Most people will never use stuff like XP Mode, Domain Join, BitLocker, etc. Regular followers of Online-Tech-Tips? Many of them may find the “bells and whistles” very convenient. If you want to know the exact differences between each and every versions of Windows 7, check out this Wikipedia article. Enjoy!